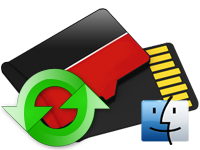 Recover Mac Software for Memory card is Mac recovery program for memory card that enables you to recover your deleted or lost memorable pictures, birthday photos, wedding pictures, audio songs, video clippings and other data from memory card digital storage media. Mac files recovery software for memory card provides advanced disk scanning mechanism for searching and recovering all lost, missing or deleted data from memory card. Recover your lost pictures, photos, images, video clips, audio songs and other data from different types of memory cards. Retrieve entire lost files from formatted or reformatted SD card, SDHC card, flash card and other types of memory cards. Macintosh recovery software for memory card easily recovers your all lost photos, images, pictures, music files other valuable data from memory card. 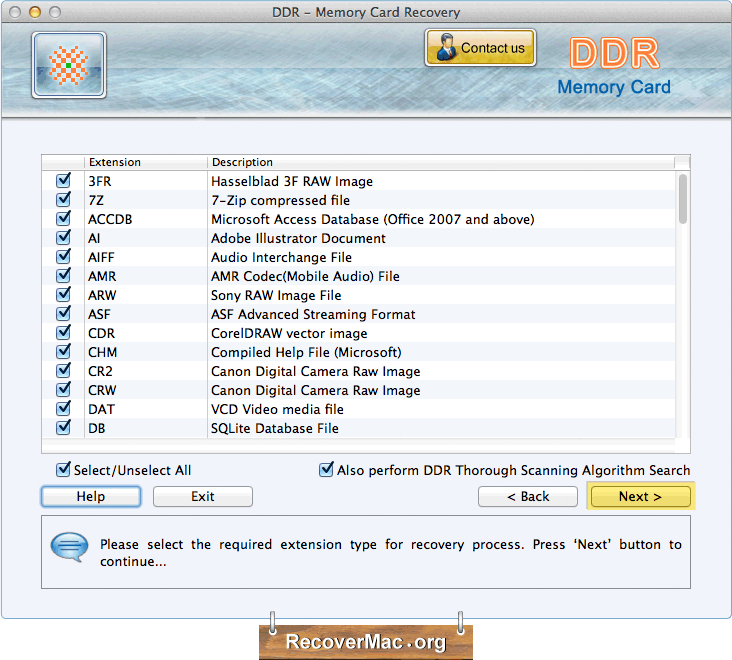 Mac data recover program for memory card recovers entire lost files from formatted or logically crashed memory card. Mac memory card data restoration program easily searches and restores entire deleted, erased or lost data using inbuilt advanced disk scanning mechanism. Mac data rescue program for memory card provides preview facility to view lost files before their actual recovery. Mac files retrieval software for memory card recovers files on Mac OS X installed machine from various kinds of memory cards including: Compact flash card (CF card), Memory Sticks, Micro SD card, Mini SD card, Secure Digital card (SD), Memory stick Duo, Micro drives, SDHC card, Multimedia Card (MMC card), XD Picture card, Smart media etc. Successfully tested on following brands of memory cards: Mac memory card restore provides complete data recovery from all major brands of memory cards including Sony, Transcends, Canon, Olympus and other types of memory cards available in the market.